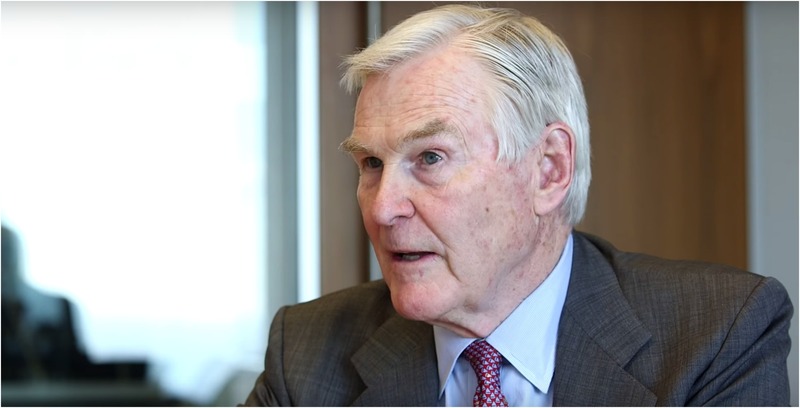 National carrier Bell paid a tribute to the death of former Progressive Conservative Finance Minister Michael Wilson for his mental health advocacy. Wilson died on February 10th after a battle with cancer at the age of 81. Bruce Rothney, CEO of Barclays Capital Canada, confirmed the death. Wilson at the time of his death was the chairman of Barclays. “Michael Wilson was a trailblazer in the fight against the stigma around mental illness, a champion for those who struggle and an advocate for care and research programs that have made a real difference in people’s lives,” Mary Deacon, chair of Bell Let’s Talk, said in a February 11th press release. Wilson was an advisor in developing Bell Let’s Talk, the campaign dedicated to mental health awareness and fundraising as a way to encourage Canadians to send messages and engage in conversation about mental health in order to help reduce stigma and raise money. Wilson was first elected as a Progressive Conservative Member of Parliament in 1979 and went on to serve for 14 years. He was Finance Minister non-consecutively from 1984 to 1991. He also held the titles of Treasury Board President, International Trade Minister and Industry, Science and Technology Minister over the course of his time in politics.